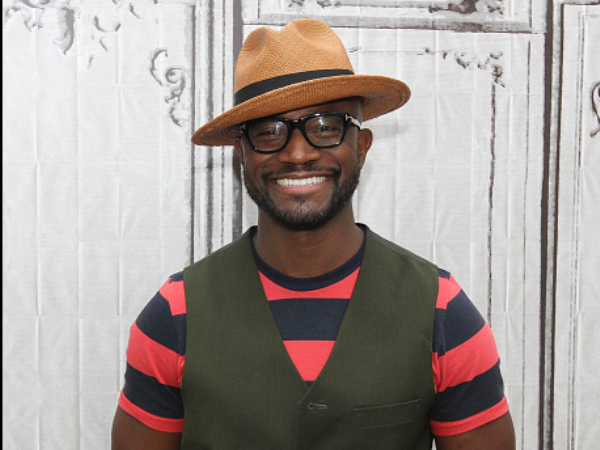 Taye Diggs is crazy about his ‘I love Daddy’ tattoo. The 44-year-old actor shares five-year-old son Walker with his ex-wife Idina Menzel. And the little boy has inspired a string of tattoos on his father’s body. “It's my 'Walker arm,' ” Taye noted of inkings on his left appendage while speaking to HuffPost Live. "My little dude wrote 'I love Daddy' a couple of months ago. It's going to be there forever - it's my favourite tattoo.” In May Taye shared a picture of this ‘I love Daddy’ tattoo on his Instagram account. The penmanship of the inking resembles the handwriting of a five-year-old child and the ‘d’ letters in ‘daddy’ are all written backwards. Taye has a habit of making Walker’s words a part of his body, as the actor commemorated the tot’s first birthday in 2010 by tattooing ‘WALK’ on his left forearm. Although the Murder in the First actor did not disclose whether he’ll be getting another design memorialised on his frame anytime soon, Taye certainly has a lot of artwork to pull from for inspiration, as his son Walker is quite the little artist. "He also drew dinosaurs: 'Sharp Eye' and 'Little Tooth,' because he's crazy about them," the proud father gushed. Taye has maintained ageless beauty since breaking out into Hollywood with his 1998 movie How Stella Got Her Groove Back. And he recently discussed what grooming habits he takes on to perfect his youthful look. “I rocked the shaved head before my hair started receding,” Taye told Men’s Health magazine. "So as soon as I saw those corners inching towards the back of my head, I took it all off—as opposed to just watching the hair fade away." I'm a 55 year old woman looking to meet men between the ages of 45 and 65.